15 March 2018. Ides of March? No worries. 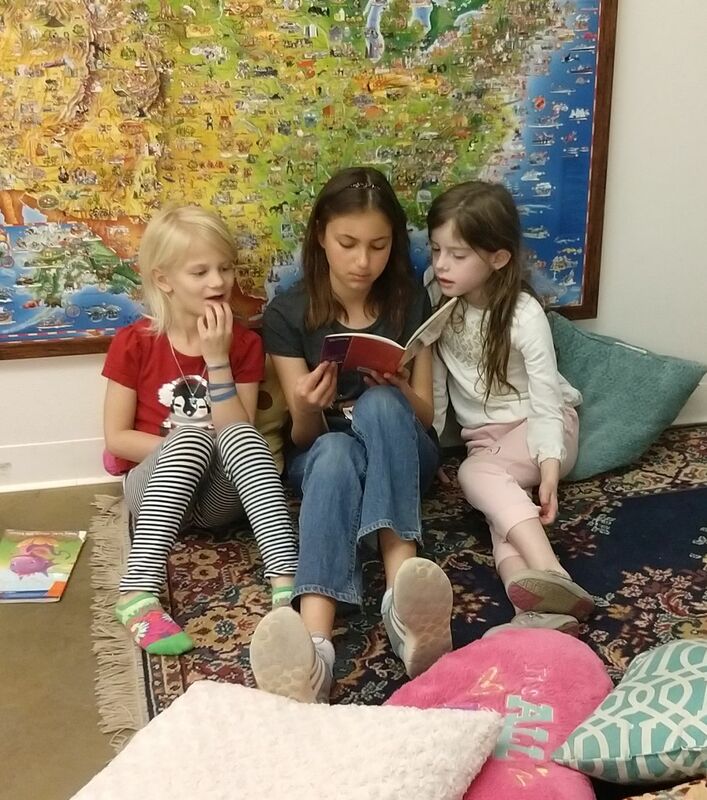 Our older students (here, Samantha, 5th grade) read with the younger students (here, Marissa and Cailin, 1st grade – both readers themselves), in a comfortable setting in our grades 1 & 2 room.